Sean and I are not vegetarians, but we generally try to eat on the healthier end of the diet spectrum. 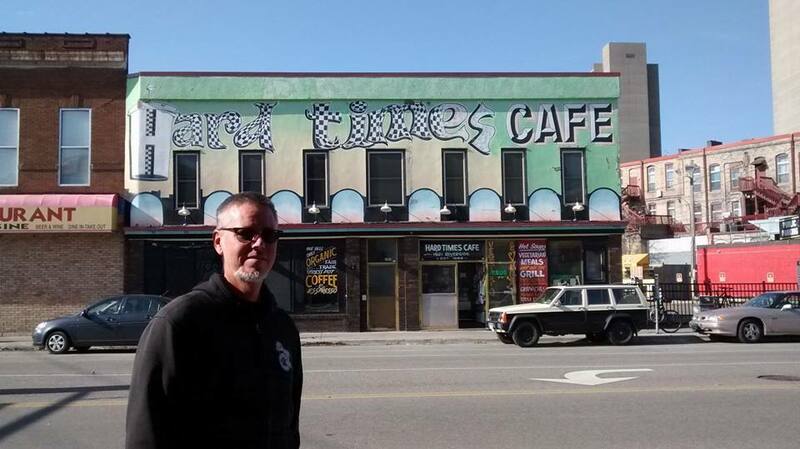 This morning we had breakfast at the Hard Times Cafe, which serves vegan and vegetarian food. It was way better than anything we would have gotten at Applebee’s, which is just outside our hotel. We’re now back in the hotel room, and I am writing this post to make sure I complete the day’s entry. We have to check out at noon, but our flight isn’t until 8:40 this evening. So we’re going to explore the city by foot and by light rail after we check out, and then we’ll have to head to the airport two hours before our flight, and then we have a three-and-a-half-hour flight, and then we have to drive the 60 miles from Los Angeles back to Ventura, and then Sean has to go back to work tomorrow. Good thing Monday is my regular day off. We have a couple of things we plan to do this afternoon while we’re out and about. Sean wants to go find more Peanuts statues; we already found one of Lucy. I want to see the Mary Tyler Moore statue, which I believe is located around the area where she was filmed throwing her blue tam o’shanter in the air for the opening credits of The Mary Tyler Moore Show. If I lived here in Minneapolis, I would knit a blue tam and slip it onto the statue late at night. But since I’m already thinking of coming back next year, I could knit a statue-sized one when I get back home and bring it with me next time. Something tells me, though, that I wouldn’t be the first one to have come up with that idea. Categories: Adventures with Sean, Handmade | Tags: knitting, Minneapolis, Sean | Permalink.